Give Me Your Tired, Your Poor, Your Ridiculous Story. I recently watched a video by Mark Dice that left me just shaking my head in despair. Let me set the stage for this video. Mark was walking along a pier in California checking on people’s knowledge of both American history as well as basic listening skills. His question to everyone he stopped was this, “Why do we celebrate the 4th of July?” Pretty simple question, right? Not so fast. As you watch the video you will hear folks say that we declared our independence from China. Others thought we declared our independence from Mexico. Some thought Jesse Ventura signed our Declaration of Independence. Others thought Jack Lemmon signed it. When was the Declaration of Independence signed? Here are some responses: 1974, 1976, 1978, 1762, “18 something”, 1812, and 1842. One woman said she has no hard feelings against the Mexicans since we have now declared our independence from them on July 4th. What about listening skills? On the video you can hear Mark say, “When the founding fathers signed the Declaration of Independence on July 4th, 1776…what date did they sign the Declaration of Independence? The answers ranged from, “I don’t know”, to “19 something” and the list goes on. Even when people hear the truth they don’t recognize it. It’s no wonder so many folks fall for any story they hear. Political stories? Sure we believe it. Lectures in the classroom supporting evolution? Sure. Why not? Abortion doesn’t take a life? We can believe that one too. 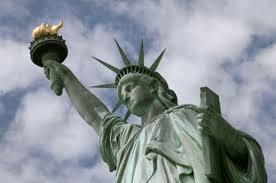 The sonnet mounted on the Statue of Liberty reads, “Give me your tired, your poor, your huddled masses…”. Maybe we should add give us your ridiculous story too. We believe almost anything. You see, a lack of knowledge combined with a lack of common sense is catastrophic but so very common. Can we just get a few more folks who don’t believe everything they hear?